As distributed version control systems continue to supplant centralized systems like Subversion and CVS, more and more developers have made the move toward SaaS-based version control platforms such as GitHub, GitLab and BitBucket. 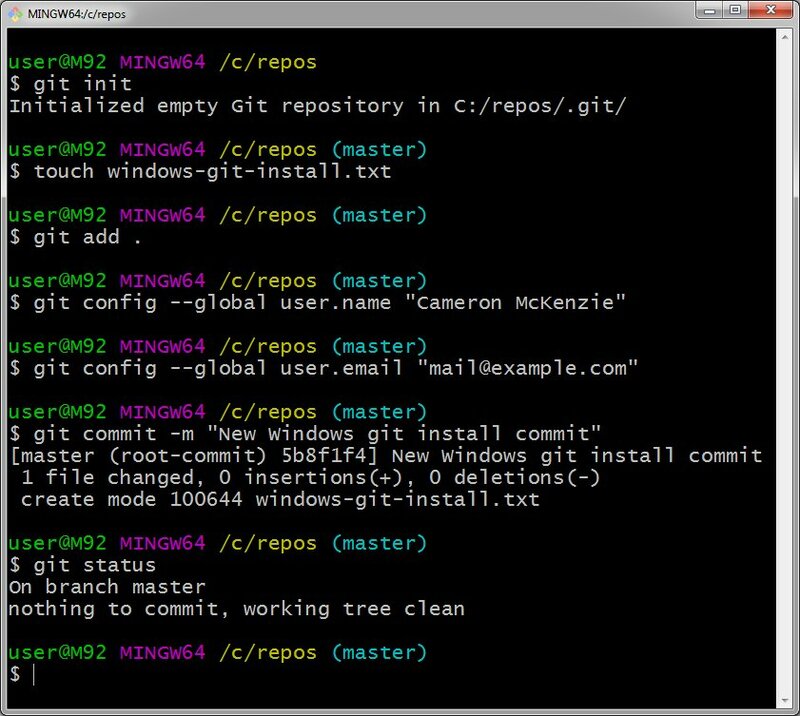 Of course, these are all Git based systems, which means developers must first locally install Git on Windows or Linux computers to interact with them. In this Git tutorial, we will demonstrate how to install Git on Windows. We will then use the five basic Git commands every developer should know to verify that the DVCS tool was installed successfully. 5. Choose your preferred Git default editor. We recommend Notepad++. 9. Click Finish to complete the install. 10. Choose to open a Git Bash shell and start using Git! $ git config --global user.name "Cameron McKenzie"
$ git config --global user.email "mail@example.com"
$ git commit -m "New Windows git install commit"
Thus concludes the task to install Git on Windows, and ensure that the DVCS tool is properly configured to manage source code and interact with SaaS-based tools such as GitHub, GitLab and BitBucket.